2010-02-23: Added a brief history of the Garden. If you would like to speak during any of the public hearings or during the public portion of the board meeting, please call the CB14 District Office at 718-859-6357 to register for time. You may also register to speak on the evening of the meeting. Brooklyn College announced today the creation of the Brooklyn College Garden that will serve as the basis for a broad spectrum of academic and sustainability initiatives for faculty and students. Members of the surrounding community will also be welcome to plant on individual plots, which will be assigned to them on a yearly base. The garden, to be situated at the campus’s Avenue H entrance and bordering the college’s athletic field, is designed to be approximately 2,500 square feet. which is where the Campus Road Garden, occupying more than twice the area, already exists. 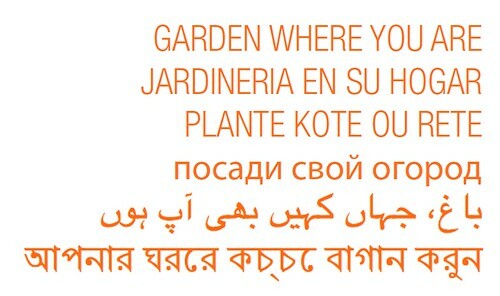 Sunday, 2/21: Greening Flatbush - Garden Where You Are! Sustainable Flatbush presents the second annual "Greening Flatbush" on Sunday, February 21. 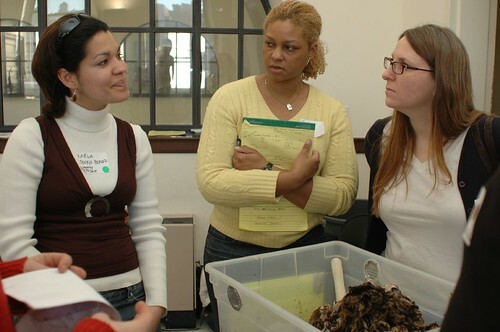 Worm composting, at the first Greening Flatbush event, in 2008. "Garden is a verb," says Chris Kreussling, Director of Sustainable Flatbush’s Urban Gardens & Farms Initiative, which is sponsoring the event. "It's not just a place you visit. It's something you do." The Urban Gardening and Farming Initiative is centered on modeling sustainable horticulture practices, promoting urban agriculture and food sovereignty, and building community through neighborhood gardening and beautification. Sustainable Flatbush programs provide opportunities for residents to learn about and get involved in working toward the goal of a sustainable neighborhood, while simultaneously building community and fostering local self-sufficiency. “Hearing about what others are already doing can inspire people to work with their neighbors to take action," says Kreussling, who also authors a local gardening blog, Flatbush Gardener. "We want to build community through gardening." Snacks and coffee will be available (courtesy of Flatbush Food Co-op and Vox Pop Café). Bring your own mug! Greening Flatbush is Sunday, February 21, from 2:00 to 4:00pm at the Dorchester Senior Center, 1419 Dorchester Road, located on the corner of Dorchester Road and Marlborough Road. Take the Q train to Cortelyou Road. 2010.08.30: Added information about BBG's 2010 Signature Plants source, Blossom Nursery. 2010.02.08: More on the Staten Island Pawpaws. Asimina triloba, Common Pawpaw, is a native fruit true in the Annonaceae, the Custard-Apple Family. The Pawpaw fruit can be up to 12cm/5" long, the largest fruit native to the U.S. Its taste is likened to a combination of banana and mango, or papaya. Two plants are needed for pollination. Pawpaw is the common name for plants in the genus Asimina, with several species native to eastern North America. A. triloba has the most northern range by far of the genus, reaching into New York, and even southern Ontario, and west to Nebraska. This wide range is attributed to cultivation and distribution by Native American people, including the Cherokee and Iroquois. Locally, its status is threatened in New York, and endangered in New Jersey. It's hard to tell from the NY map, but it has been found on Staten Island, New York City. More on this below. Pawpaw grows as a large shrub or small understory tree, maturing to about 25' tall in 20 years, rarely to 30-40'. Pawpaw is prone to spreading by suckering, sending up new stems and trunks from the roots, to form a thicket. This tendency decreases as the plant ages, so removing the suckers while the plant is young will promote a single trunk. 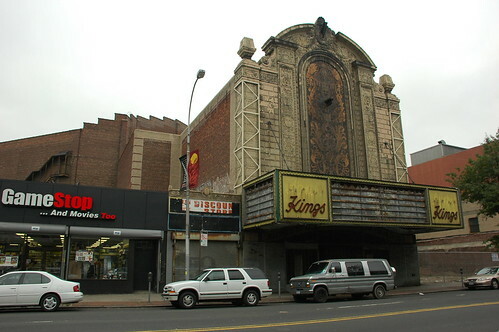 Will the Flatbush Loew's Kings Theatre finally be saved? Updates, 2010-02-03: Added more links and images. A developer has signed an agreement, made a down payment on a $70 million renovation of the Kings and plans to turn it back into a functioning entertainment venue, this time presenting live performances, city officials said Tuesday. For some amazing photos of the interior, see marioletto's Flickr set. If the National Weather Service forecast for tomorrow morning is correct on this point, the sky will be clear for dawn in Flatbush. 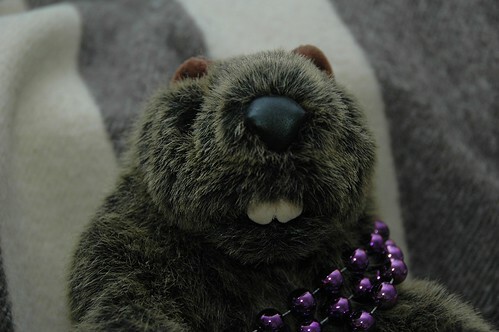 Flatbush Fluffy, the resident Marmota monax, will see his shadow, promising six more weeks of Winter.